I haven’t been posting a whole lot lately because I just don’t have time. When it’s nice outside then I am trying to play in the dirt. When it’s not nice then I’m usually doing housework or trying to work on various projects around the house. 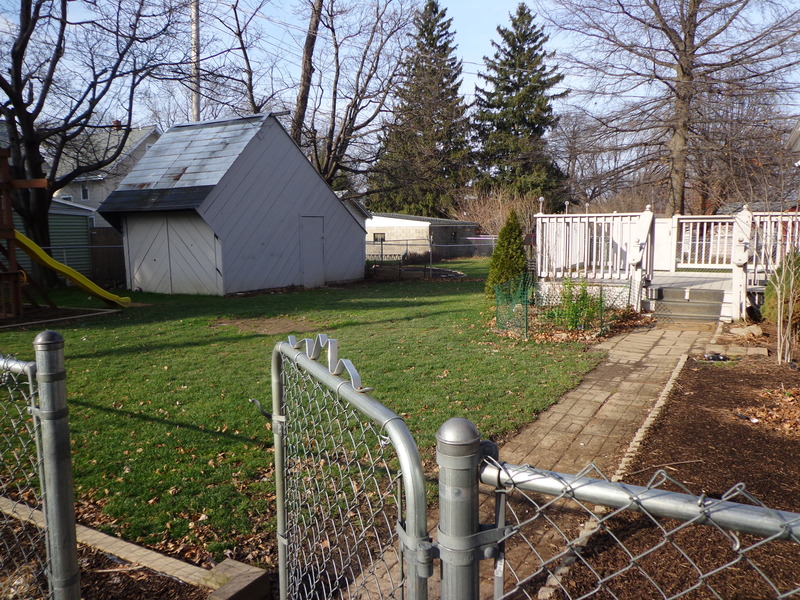 I wanted to show you some of the progress and changes that I’ve made to the gardens in my yard. This picture was taken on the first day that we owned this house. 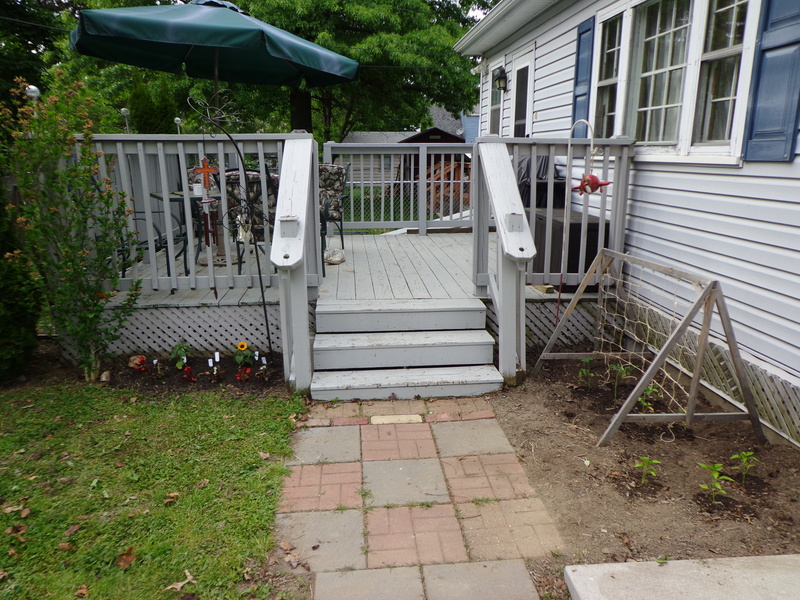 If you look by the deck steps you can see that there used to be a flower garden and to the right you can kind of see the shrubs that were planted by the house. 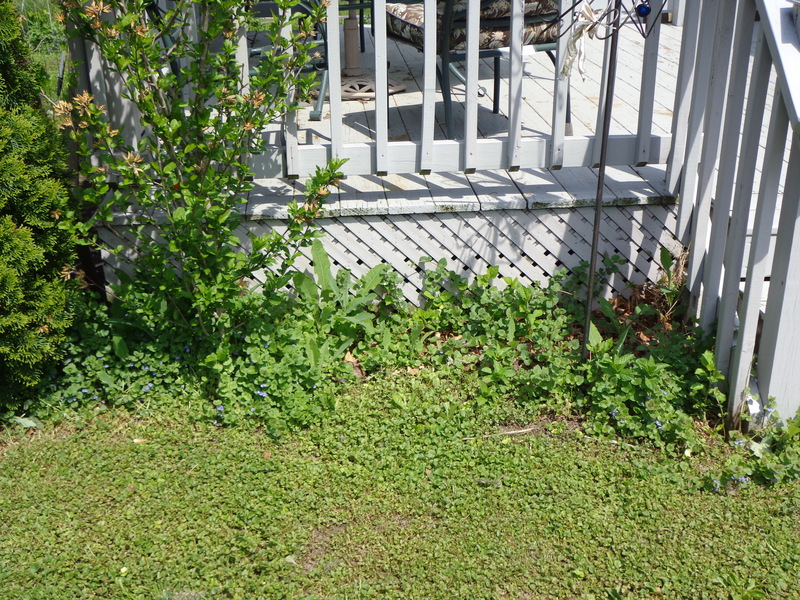 I cut a line across from the steps to the Rose of Sharon bush and pulled out the stuff growing in there. 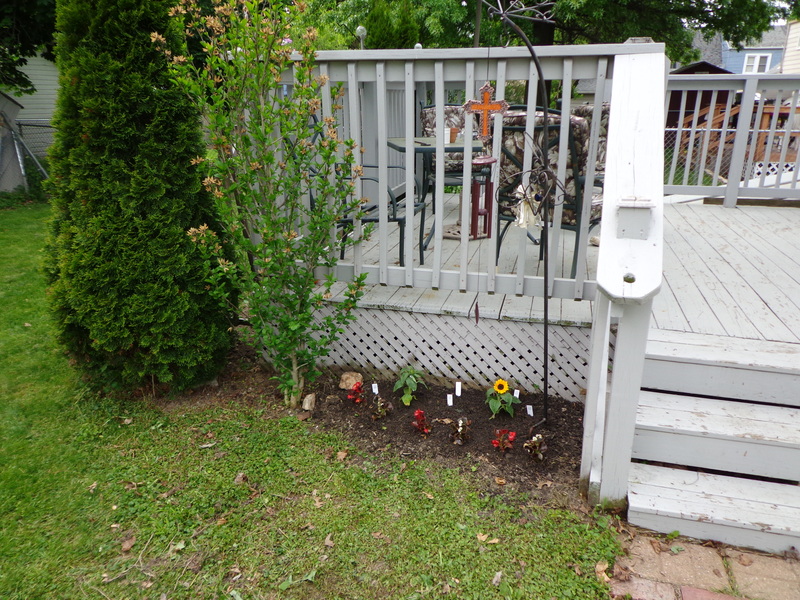 I then planted some white and red begonias and some little sunflowers that only grow to about 18″ tall. Then I hung my wind chimes there, too. What do you think? Next year when I can put my tomatoes back where they belong I’m thinking that I might plant a few rose bushes in this garden area. 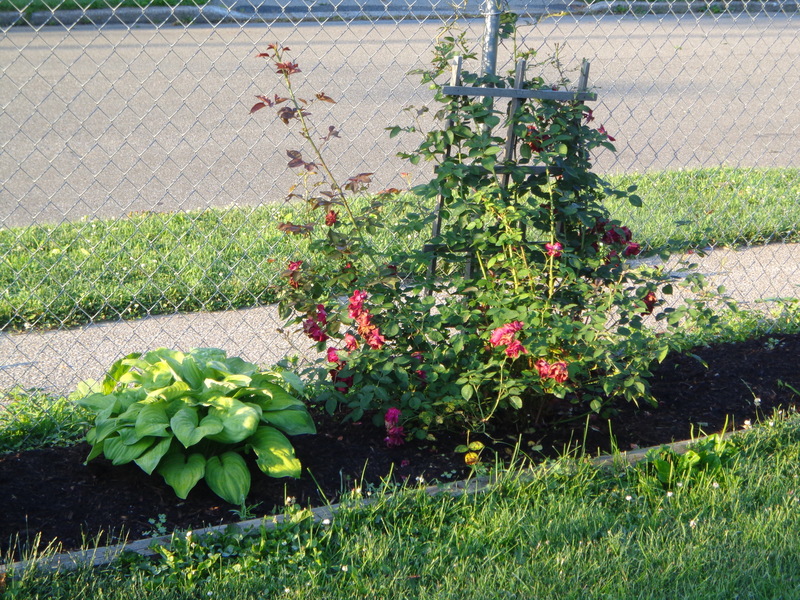 Speaking of roses, this was my corner rose garden last year. It was the first year that I really worked on it to get some color in there and I planted two regular rose bushes and one climbing rose. 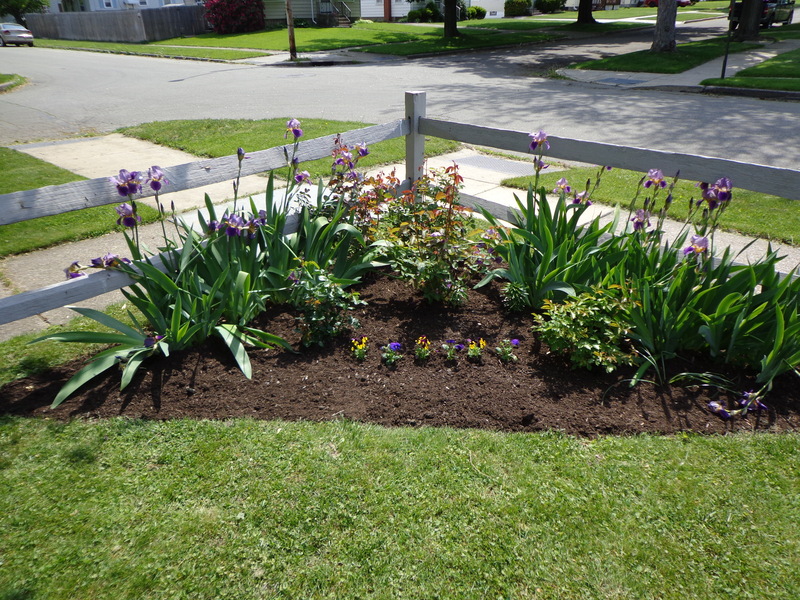 I had also thinned out the irises along the back edges. Here it is this year, though not quite in bloom (I can’t recall if I took any pictures of it so far this year). 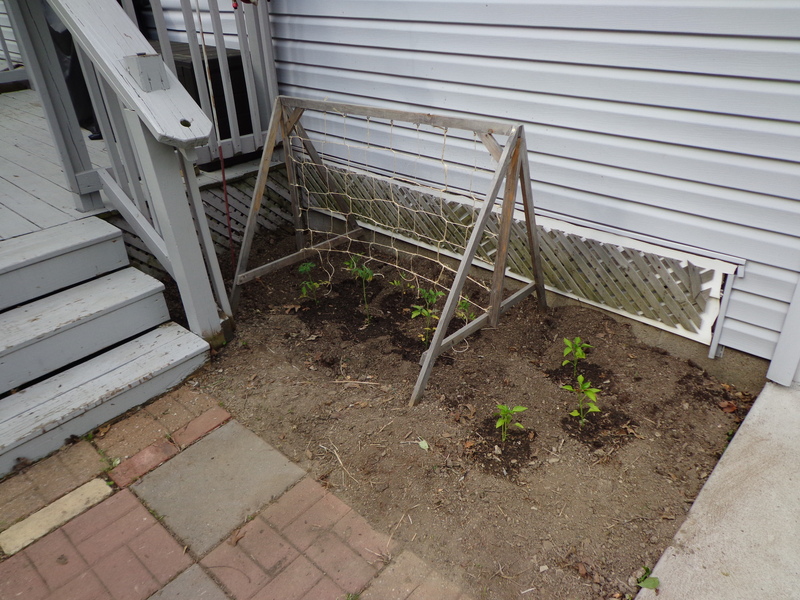 I have planted another rose bush so I have three regular rose bushes and two climbing rose bushes that I’m trying very hard to train onto the fence. Last year I had white petunias in there and this year I planted pansies and violas. I have one other climbing rose bush in my yard. This one lives next to the fence in my back yard. 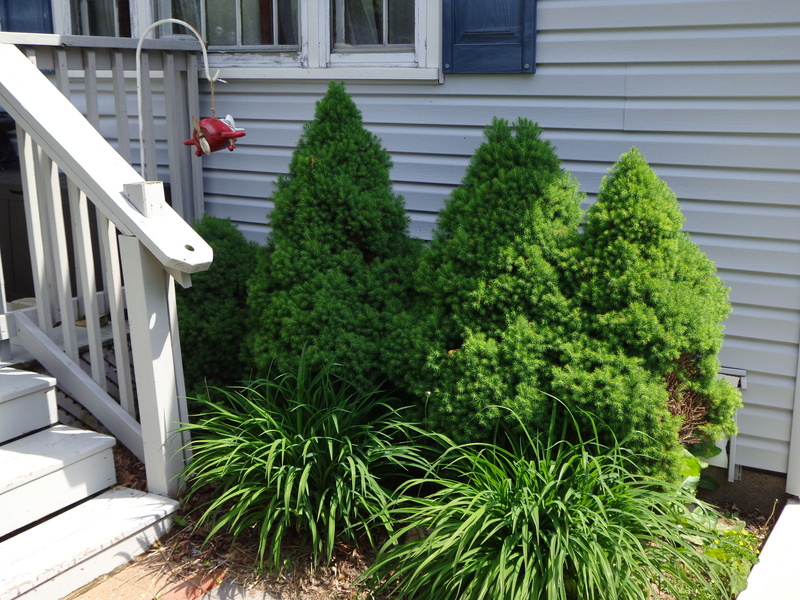 The first summer we lived here this bush didn’t do anything except grow. There wasn’t a single bloom to be seen. Last spring I told it that I would give it one more year, but if it didn’t do something then I was going to pull it out. I refuse to have a rose bush around here not pulling its weight! So last year you can see a few blooms that it managed to grow. It bloomed once and that was it. It was a bit of a disappointment, but at least it saved its spot in the garden. Here it is this year. Isn’t it beautiful?! I have decided to just let the canes grow out and hang down, so you can somewhat see how it’s growing out behind the hostas on the sides. And this is what it looks like from the road. It really is very pretty. I’ve already dead-headed it once and I think that I saw some more buds. Okay. It has definitely made sure that it will stay in my garden. 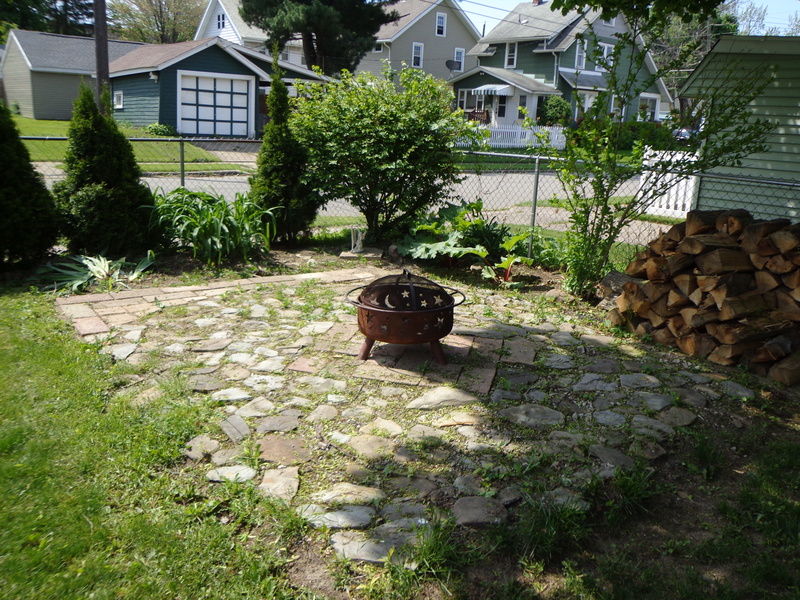 One other area that I’ve worked on a little more is the fire pit area. We used it a few times last year after I completed the area and it really worked out nicely. I wasn’t quite happy with it, though. It still needed some tweaking. 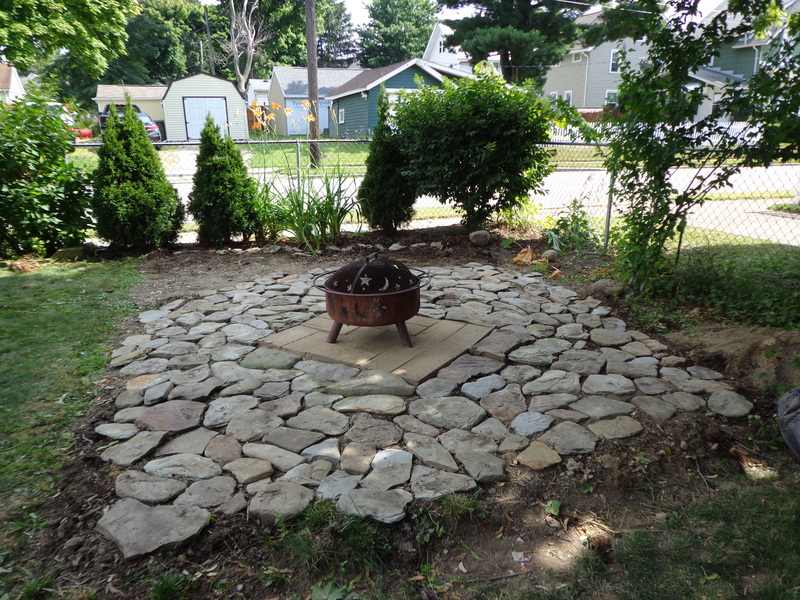 This summer I expanded the back edge of the stone pad and kind of finished it off by the bushes. We now have a pile of wood (thank you father!) 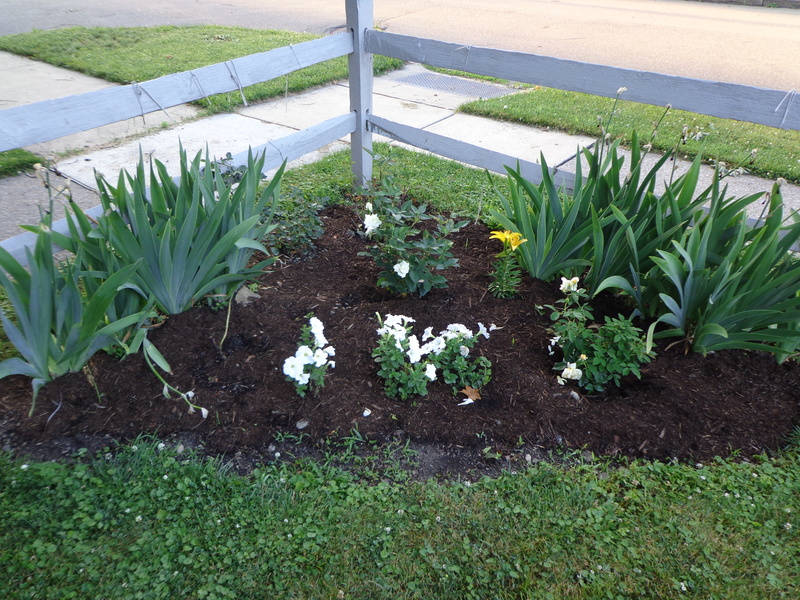 and I’ve added some lilies and the extra shrub (which wasn’t planted when I took this picture). As I stand and survey our yard from the deck I have to admit that I am beginning to like what I see. Next weekend we are getting another tree cut down (as long as the weather cooperates), so I’ll be sure to show you how that looks now, too. Oh, and I’ll try to take some pictures of my rose garden in bloom. This entry was posted in Garden, My House, Roses and tagged Garden, My House, Roses. Bookmark the permalink.